Retail owners — What does Monopoly, Swiss army knives and Mason jar candles have in common? A story about why companies are successful that wholesale Mason jar candles …. As a buyer or owner to a retail store, it can be difficult keeping up with the trends. One moment you’re seeing everyone wearing a yellow Lance Armstrong bracelet and the next are people carrying around three foot long selfie-sticks. These were great ginormous hits, but they came and went. It’s hard to find a product that simply lasts and stands the test of time. In today’s modern era, consumers have access to hundreds of websites, programs and apps — Each seemingly replacing one from another over time. But how about in the product world, the world of goods on the shelves? Physical goods work a bit differently. When it comes to fashion, we know the trends and their cyclicity, but when we’re talking about small-end retail, cyclicle products aren’t often a luxury that store owners have. Single location stores such as boutiques, consignment stores, antiques and home decor have less cash flow and in term need a few products on their shelves that they can rely on long-term. Board games, swiss army knives and Mason jar candles. What do each of these items have in common? They’re each a classic — in their own right. Each have stood the test of time, lasting over a century of time. Monopoly has been around since 1903, the swiss army knife since 1893 and the Mason jar since 1858. All three of these great products are as popular now in their current form just as much as they ever were… well each required a little revampment to keep with the times! When you’re considering a new, trendy product for your new boutique or retail shop, you can look no further than Mason jar candles. If you wholesale Mason jar candles, they’ll provide you a consistent SKU year after year. Candles in general are an excellent addition to any store as they emit a common warmth to visitors. They also give off a great scent that invites your shoppers to waft in the aroma as they browse through your crafty knick knacks in the store. Mason jar candles are great for wholesale because there’s no guessing game. Its an iconic jar and brand that your consumers will both recognize and treasure. As a wholesaler, you know exactly what you’re getting… and most importantly, so do your customers. Everyone is familiar with the classic Mason jar but with the vintage-style lids and floral-like fragrances, your customers will have a slam dunk for their great room mantle, dining room decor and even a potpourri for the bathroom. 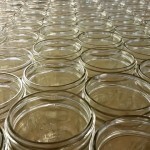 You can now wholesale Mason jar candles in very affordable starting quantities. In as little as five candles per scent, you’re able to furnish a gorgeous piece of wood furniture or dress up a shelf in your store. The Mason jar candle has been in existence for quite some time now so we decided to give it a little extra spruce with both vintage and contemporary-style lids to give them revampment consumers adore. Consumers not only love the new line of lids, they’ll resonate with the fact that you’re keeping up with the times and meeting the demands of being eco-friendly and sustainable for the environment. When you buy wholesale, you’ll be investing in 100% organic soy wax candles, each containing lead-free, cotton wicks. The glass and jar are intended to be reused and repurposed for the many creations that consumers come up with. Mason Jar Candles Inc is a San Francisco based candle company that specializes in making top quality candle products. Our company is not just in business to make the world smell better though, we also want to enhance the world and those around us in need. We’re working to do our part by donating a minimum of 10-15% of all candle profits to charitable foundations. Charitable organizations we work with include Stanford Medicine to support Bipolar Disorder; Cancer Treatment and Education. By buying wholesale Mason jar candles you’re positively supporting these charities and the people that rely on them and benefit from them day to day. We hope to build a long-lasting community and relationships with those that share a similar vision. With your first wholesale purchase order of candles you’ll be able to mix and match between your favorite lid styles and scents. Some retail stores have chosen to go farmhouse themed with the galvanized silver & rustic lids, where others have gone more neutral-toned with all gunmetal black and signature brass. To add new life in your store, get info on how to wholesale Mason jar candles by sending us an email at Wholesale@masonjarcandles.org. We look forward to putting more candles in the hands of Mason jar and candle lovers alike! This entry was posted in Mason Jar Candles and tagged mason jar candles wholesale, wholesale mason jar candles. Bookmark the permalink. ← Can Lavender Scented Candles Really Help You Sleep?